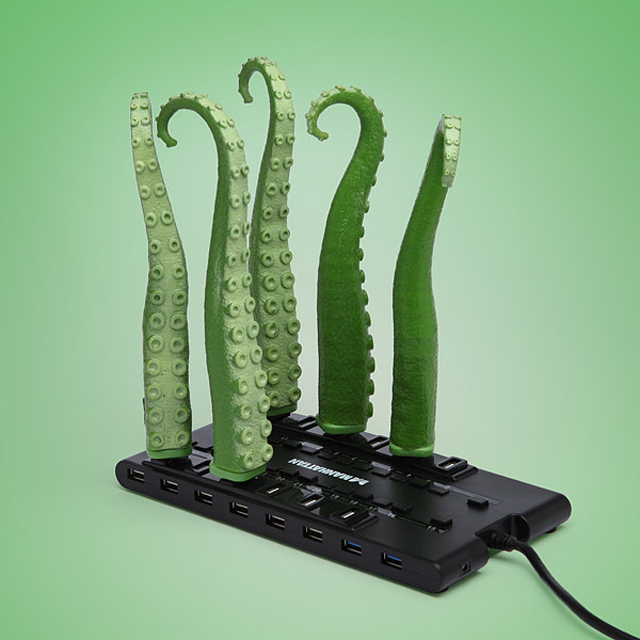 ThinkGeek has decided to “Release The Kraken!” (or Cthulhu or octopus or squid) with their new USB Squirming Tentacle. To power it up, you simply plug it into your computer USB port and enjoy. You can see it squirm in this video. It is available to purchase at the ThinkGeek online store. 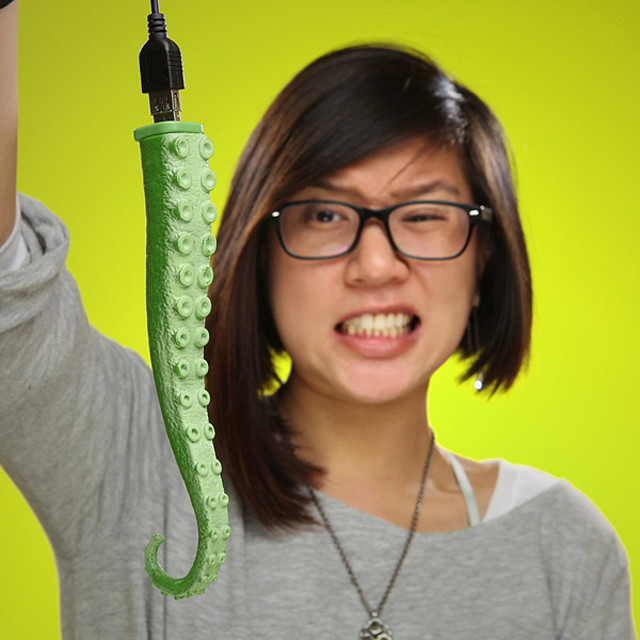 Show your love for Cthulhu (or just octopuses or kraken) with the USB Squirming Tentacle. Simply plug it into your USB port and it will fill your computer with unspeakable evils. Just kidding, it doesn’t store any data. (Just evil.) 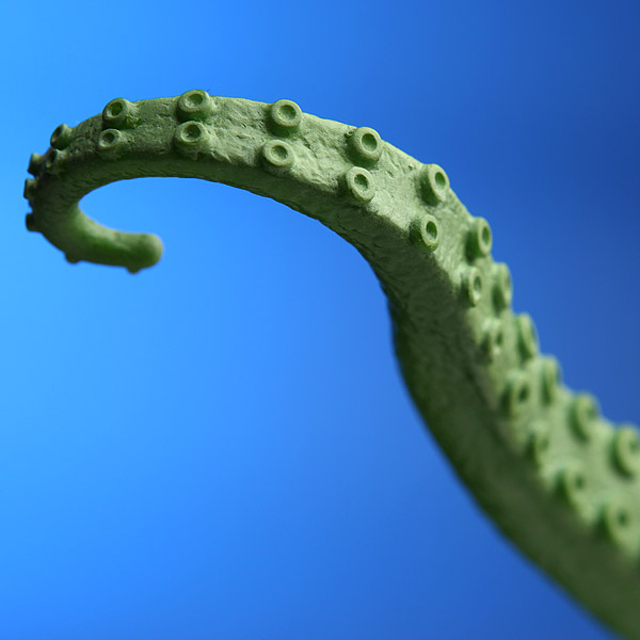 The USB Squirming Tentacle will draw a small amount of power from your computer, enabling it to squirm and wiggle like an Elder God trying to escape your laptop.